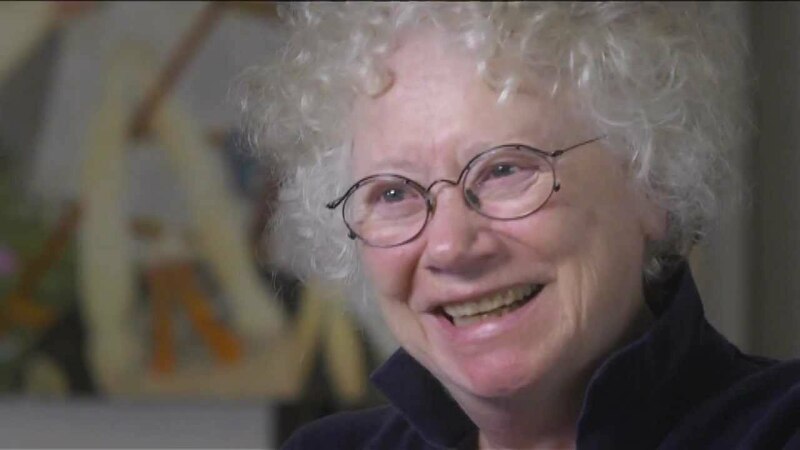 Gladys Nilsson (BFA 1962, HON 2016), a prominent member of the Chicago artist collective the Hairy Who, was recently profiled in Art In America magazine. Though focusing with precise detail on her use of shape and her deftness with water colors, the review also emphasizes Nilsson's narrative ability, and the symbolic interpetations present. Vested Interest, a 1987 painting, features women relieved of puritanical clothing restraits in 1980s California juxtaposed with "males...fully clothed in suits and wide-brimmed hats...resembl[ing], perhaps, laborers of the 1940s—a time when Nilsson was a child—heading off to work."